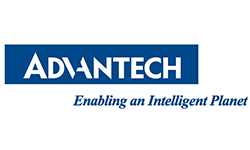 Founded in 1983, Advantech is a leader in providing trusted innovative embedded & automation products and solutions. Advantech offers comprehensive system integration, hardware, software, customer-centric design services, and global logistics support; all backed by industry-leading front and back office e-business solutions. We cooperate closely with our partners to help provide complete solutions for a wide array of applications across a diverse range of industries. Advantech has always been an innovator in the development and manufacturing of high quality , high performance computing platforms, and our mission is to empower these innovations by offering trustworthly ePlatform products and services. With Advantech, there is no limit to the applications and innovations our products make possible.